A senior Iranian parliamentarian said today that devastating floods that have ravaged the north, west and south of Iran can be “spiritually evolving” for those who have lost everything to the floods. “How we handle these natural disasters in terms of perseverance, patience, resiliency and not showing ingratitude (towards God) can be spiritually evolving for people, especially for the flood stricken people,” Ali Motaheri wrote on Instagram. These remarks come more than a week after floods first engulfed parts of northern Iran. 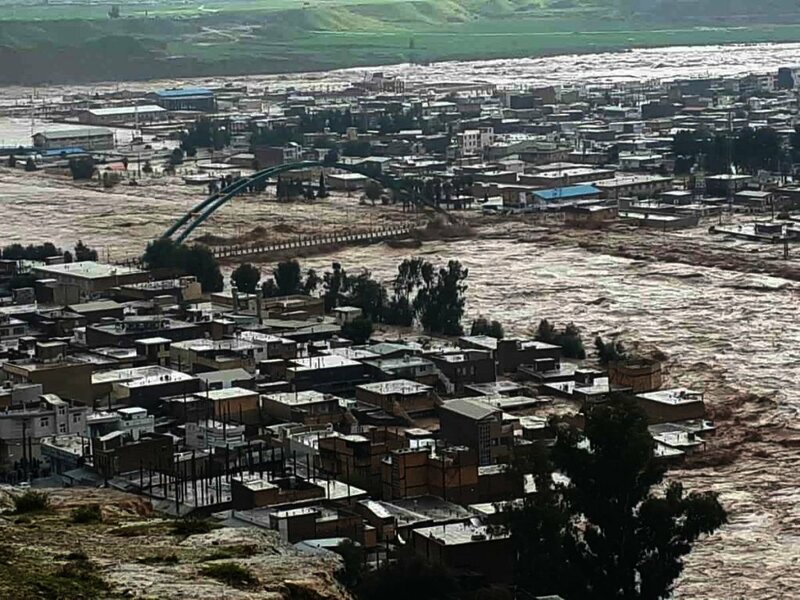 Severe thunderstorms and rain then ensued for 12 days and reports indicate that the city of Poldokhtar in the western province of Lorestan has now been engulfed by flood water along with dozens of villages. City of Poldokhtar engulfed by floods. 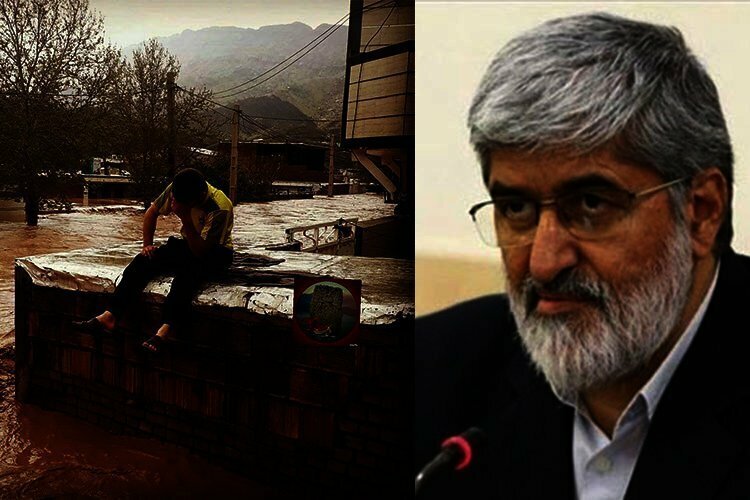 According to ISNA state-run News Agency, Motaheri, the Second Deputy of the Parliament of Iran posted these remarks in an Instagram post titled, “Our handling of the flood situation”. These lessons on “spirituality” amid ravaging floods only anger Iranians who have lost everything and need material aid to get back on their feet. On the other hand, what Motarheri calls a “natural disaster” is nowhere near natural. The Iranian regime, notably the Islamic Revolutionary Guards Corps (IRGC), has in the past 40 years plundered Iran in terms of the environment, therefore rain is no longer a blessing for Iranians. Motaheri wrote that he had participated in a Crisis Management meeting as a representative of the legislative body. “They reported on (the northern province of) Golestan and (the southwestern province of) Khuzestan and other areas. I realized that government officials and the armed forces had made great efforts,” he said. The Tehran MP then went on to thank the government adding that he thought that government efforts were “acceptable”. This is while locals complain that not enough aid is being given to flood stricken areas. Videos on social media show that mostly all the relief efforts are being carried out by the people; from filling up sandbags to searching for bodies in the muddy waters. The MP also tried to legitimize the more than 200 deaths from the floods. “Floods have fatalities in all countries even developed countries,” he said adding that the “only thing we have to do is try to minimize the fatalities”. 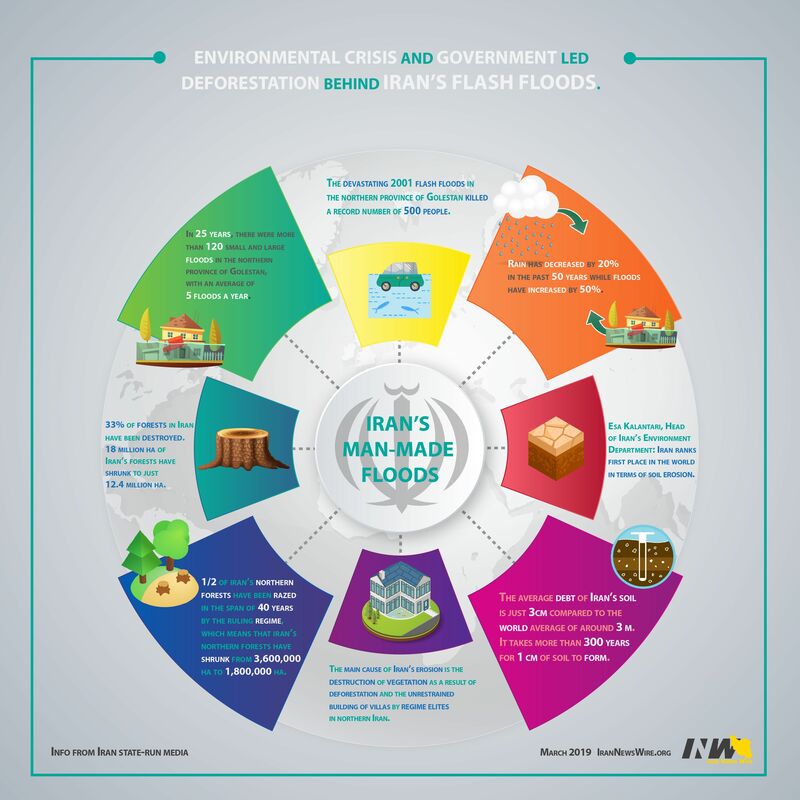 Iranian officials have announced that more than 40 people died in the floods while local and eyewitness reports say that more than 200 people lost their lives. Most of the death occurred in Quran Gate in the south-central city of Shiraz when flash floods caught car commuters off-guard.